To some, Tupac Shakur was no more than a filthy rapper and an ex-con thug. Indeed, he had some lyrics that make me a little more than uncomfortable and his lifestyle was certainly not the type that I myself live. But the truth is, Tupac was an incredible poet and a master of the pen. A wordsmith who died way too young--age 25--I have always been drawn to his passionate lyrics and literary creativity. Some might ask, why an aspiring biblical scholar like myself would spend time on such un-Christian things or even waste my time on something they see as less than scholarly? 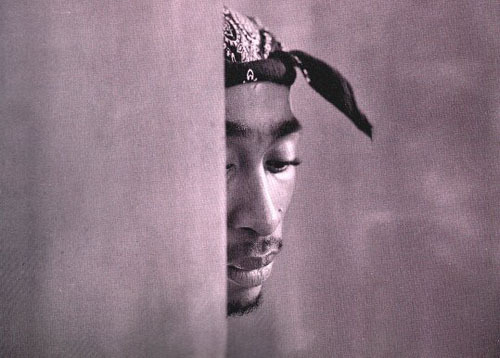 To that, all I can say is that within Pac's songs, there is great theological wrestling and depth. There is also, as I have already intimated, great poeticism and cultural savvy. In many ways--I have noted this before here on Pisteuomen--Tupac was like the prophets of the Old Testament. His challenges to the powers that be, his calls to change our ways of living (yes, even his own), his dealings with the divine, his hopes for the future and much more all speak volumes to me. "You try to plant something in the concrete and if it grow and the rose petal got all kinda scratches and marks you not gone say, damn look at all the scratches and marks on the rose that grew from concrete you gone say, DAMN A ROSE GREW FROM THE CONCRETE. Same thing with me, I grew out of all this. Instead of saying, you did this you did this, you should be like DAMN HE GREW OUT OF THAT, HE CAME OUT OF THAT? That’s what they should see, all I’m trying to do is grow and make good out of the dirty nasty unbelievable life style they gave me."